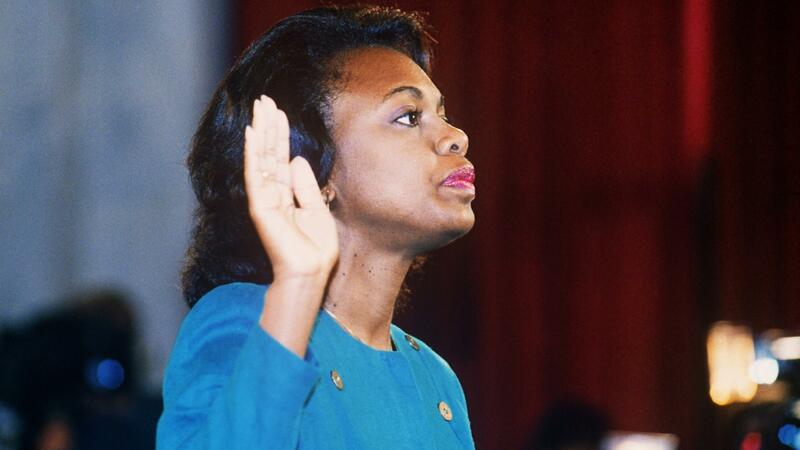 Law professor Anita Hill takes oath on Oct. 12 1991, before the Senate Judiciary Committee in Washington, D.C. Hill accused Clarence Thomas of sexual harassment. President George H.W. Bush met Supreme Court nominee Clarence Thomas on Oct. 9, 1991 in the White House. Bush reaffirmed his "total confidence" in Thomas. The classic clash of his and her testimony forced the reopening of Thomas' confirmation hearings and mesmerized a national TV audience for days. Hill won many believers with her powerful narrative of sexual harassment when she and Thomas were both lawyers at the Department of Education (and later at the Equal Employment Opportunity Commission). Thomas came back with a spirited defense, accusing "white liberals" on the Judiciary Committee of "a high tech lynching" to put "uppity blacks" in their place if they chose to be conservatives. Both Hill and Thomas were African-Americans, but Thomas' defense was an acknowledgement of race as a factor in the entire process. Indeed, race had been a factor in the Supreme Court process even before President George H.W. Bush chose Thomas to fill the vacancy left by Justice Thurgood Marshall — the only African-American who had ever served on the nation's highest court. Thomas became the second. His nomination was confirmed by the full Senate 52-48, the closest such vote since the 1800s. He is now the Supreme Court's longest-serving active member. But the repercussions of his confirmation fight roiled the next election — helping to make 1992 the "Year of the Woman" — and they've continued to roil the politics of race, gender and partisanship in America ever since. The electoral connection was critical throughout the Thomas nomination process, and not only in terms of female voters. Two elections that took place in the 1980s were not only preludes but determinants of the drama that would unfold. The first was the midterm of 1986, when several Senate Republicans who had been swept into office with President Ronald Reagan in 1980 were denied re-election. The Senate Democrats regained the majority largely by flipping nine seats the GOP had held, including five below the Mason-Dixon line. They also held seats in Arkansas and Kentucky. And in all these states they won on strong turnout among African-Americans. That reliance on black voters would be widely noted the following year, when Reagan tried to fill a Supreme Court vacancy with an appeals court judge named Robert Bork. A hero to many conservatives, Bork had questioned liberal landmarks such as the Supreme Court's decision in Roe v. Wade (which legalized abortion nationwide) and legislation considered vital to the civil rights movement. The head of the NAACP vowed to fight the nomination "until hell freezes over, and then we will skate on the ice." In a famous denunciation of the nominee, Sen. Edward Kennedy said "Robert Bork's America is a land in which women would be forced into back-alley abortions [and] blacks would sit at segregated lunch counters." Rejected in committee, Bork insisted on a floor vote and lost badly. Most of the Southern and border state senators were still Democrats at that time, and all but two joined their colleagues from the North and West in rejecting Bork. The sense that black voters mattered had never been stronger than in the fall of 1987. 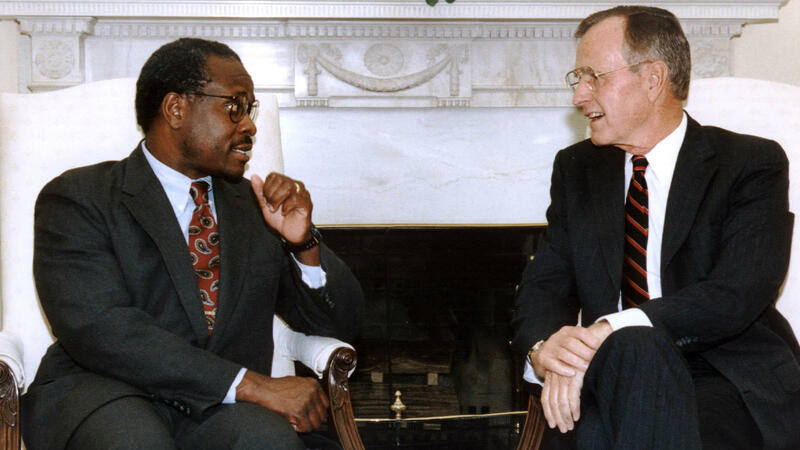 One year later, when the first President Bush was elected, he received just 11 percent of the vote among African-Americans, according to the Roper Center for Public Opinion Research. That was barely better than Reagan's 9 percent in 1984. Bush had always considered himself a moderate on race — if not a progressive — and he wanted to do better. In 1990, Bush got his first high court vacancy to fill and Thomas was on his short list with the sponsorship of Missouri Republican Sen. John Danforth, for whom Thomas had worked. Bush had already put Thomas on a federal appeals court months earlier and by some reports was ready to promote him. Advised that there would be other opportunities and that Thomas at 41 would be around a good long while, Bush named David Souter of New Hampshire instead. That did not please conservatives, who suspected (correctly) that Souter might prove unreliable (he eventually became part of the liberal wing). So pressure on the right converged with Bush's original inclination when the Marshall vacancy gave him the ideal moment in 1991. Democrats, for their part, feared Thomas would be as conservative as Bork on abortion, police powers and a host of other issues. But he was far more careful than Bork had been in the confirmation process, especially in his public hearings before the Judiciary Committee. So despite their frustration at Thomas' answers about Roe and other matters, Democrats on Judiciary were loath to oppose him. In truth, it seemed every bit as improbable that the Democrats would reject a black nominee as that Bush would replace Marshall with anyone else. Despite his strong Republicanism and conservative views, Thomas had robust support in polls of African-American voters. And it was lost on no one that the same cohort of Democratic senators who had been elected in 1986 would be on the ballot again in 1992. And then Hill spoke up. Suddenly there were bumperstickers that said, "I believe Anita." Women's organizations were incensed at the Democrats' weak defense of Hill in the face of scathing Republican comments about her veracity. 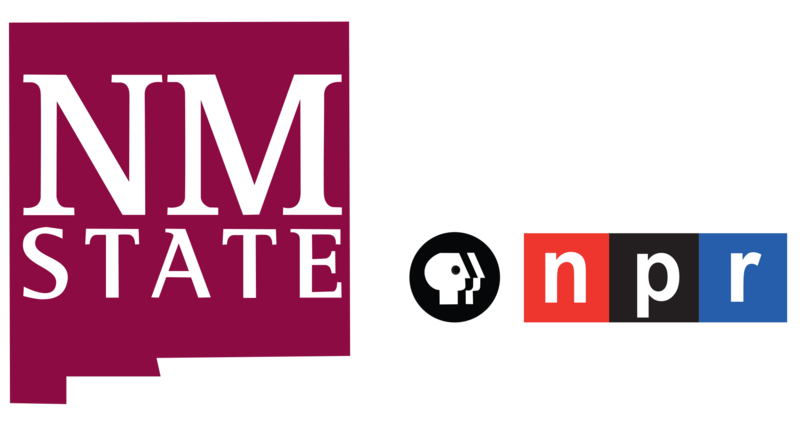 But the conflict for the majority party was rubbed raw by Thomas' "high-tech lynching" remarks, and the polling among black voters remained supportive. Polling overall also favored Thomas' version of his relationship with Hill. In the end, the Judiciary Committee Democrats could not bring themselves to reprise their rejection of Bork. They sent the nomination to the Senate floor without a recommendation. He prevailed with 52 yea votes, including from 11 Democrats — all but a few from the South. One who was not from the South but had many African-American constituents was Sen. Alan Dixon, a two-termer from Illinois who had been in statewide office for more than two decades. The following year he would lose in the Democratic primary to Carol Mosely Braun, a relative newcomer from Chicago who ran against his vote for Thomas. Braun was not alone. The Senate's handling of Hill — and its cavalier dismissal of women from the House of Representatives who tried to show their support for her — became a flashpoint. Other targets of the backlash, such as Republican Arlen Specter of Pennsylvania, barely squeaked by in 1992. Specter had been the harshest of Hill's interrogators. Over time, the wounds of the Hill-Thomas hearings have faded but never healed. Both of the principals wrote moving autobiographies in which they stood by their testimony and criticized their antagonist. Thomas proved to be as conservative a justice as Bush or Reagan could have hoped, anchoring that wing of the court along with the late Antonin Scalia. Some have argued that Thomas' record is even more consistently conservative, as he crossed the aisle less often on specific cases. Hill continued her career as a legal scholar and professor, teaching at the University of Oklahoma and other schools. She is now university professor of social policy, law, and women's, gender and sexuality studies at Brandeis University in Massachusetts. This week, in the midst of the meltdown over Christine Blasey Ford's allegations, Hill published an op-ed in The New York Times. "There is no way to redo 1991, but there are ways to do better," wrote Hill. "To do better, the 2018 Senate Judiciary Committee must demonstrate a clear understanding that sexual violence is a social reality to which elected representatives must respond." The committee should serve as "fact-finders to better serve the American public, and the weight of the government should not be used to destroy the lives of witnesses who are called to testify." If lessons have not been taken from the experience of 1991, Hill writes, then the committee should learn from the #MeToo movement of the present day. The spectacle of powerful men brought down when their abuse of women has been brought to light in the past year has already led many to compare the 2018 elections to those of 1992. With all the primaries concluded, a record number of 257 women are still in the running for Congress this fall. And it can scarcely be lost on the present Senate majority that the majority of voters in American elections are women.